People who enjoy the great outdoors often also enjoy boating in its various forms for a variety of reasons. Smaller ‘boats’ like canoes and inflatables offer an inexpensive way to get out on the lake and fish or just exercise via a little rowing. If you want more boat than that, you’ll have to consider where to store it and how to tow it with your RV. Space is limited in many suburban neighborhoods and often outdoor enthusiasts have to choose between boat and RV. Now thankfully, there is a way you can have both. Behold the Porta-Bote. A light weight folding boat made of plastic that more resembles a surf board than a boat when it is stored. Porta-Bote takes just 4 minutes to unfold and setup, making it highly convenient and easy to use. The folding bench seating within the boat gives it all the sturdiness it needs and because it’s made of plastic, you’ll never have to worry about a fish hook disaster common to all inflatables. For over 40 years Porta-Bote has produced folding, portable small boats with space age engineered resin hull and hinges. The resin is truly space age engineered, as it was first used by NASA. Porta-Bote holds hundreds of patents on the use of this resin in boating related products. Their quality control over every boat is at the highest level in their industry. In Japan a “drop test” is used to ensure quality. Porta-Bote passes drop-tests of 600 lbs. 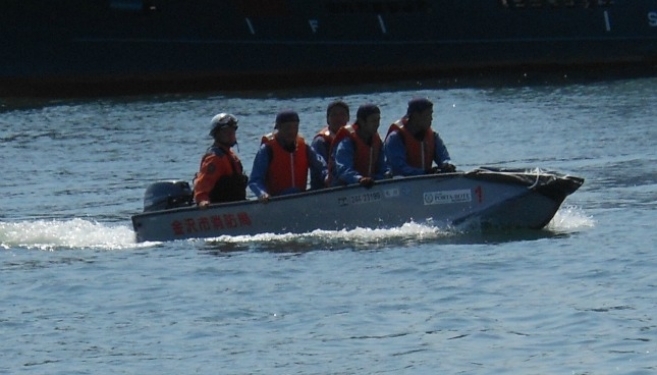 of weight and a 21 foot drop by the JCI (Japanese Coast Guard) every it’s been tested. Porta-Bote International’s boats are NMMA Certified (National Marine Manufacturers Association) and EU Certified (European Union).